People wrongly tend to think that by using paper, a business is not doing its part in the environmental revolution. In reality, however, there are a number of ways in which a company can rely on paper and still make strides in its green efforts. Let's look at six ways in which an organization can be eco-friendly while still using the paper products and processes that help its business grow. "Proofread your work carefully before printing it," suggested a blog article from Ben Harack at Vision of Earth. "Use the 'print preview' mode in your word processor / presentation software / spreadsheet software in order to make sure what you are printing is exactly what you want." 2. 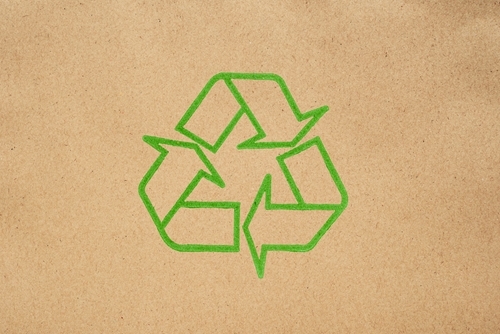 Recycle heavily: It's been said many times and in many different ways, but recycling is simply the easiest and most effective method to make a positive environmental impact in the office. A company simply needs to orchestrate a recycling program and implement new policies to get it underway And as Harack pointed out in his piece for Vision of Earth, there is a lot of reusable paper available in the workplace at any given time. "Use paper from recycling bins for notes, etc. Most people only print on one side, leaving a full side of high quality white paper," explained Harack. "This saved me a lot of money in university. The library always had a lot of paper in the recycle bins beside the printers. I would just go in and take a stack every once in a while." 3. Track supply chains: Environmental efforts go deeper than one may think, and proper supply chain management is a major part of these responsibilities. Organizations must look into where their paper is coming from, how it is manufactured and how it is delivered. While it may take some time and a bit of financial investment, cleaning up the supply chain can help a company's reputation and ensure its sustainability for the future. 4. Procure properly: A company only needs so much paper to operate, and it's up to business leaders to procure the right amount of this resource for every week, month and year. Executives must track how much paper the business is consuming in these spans of time, then ensure that the office is not wasting a single sheet. 5. Leverage technology: While pen and paper is surely the best way to take notes, sign documents and perform creative tasks, there is a time and a place for electronic processes. By sorting out which business operations demand paper and which can be performed on a computer, decision-makers can more effectively utilize their paper resources while keeping costs down for IT. The paperless office won't likely ever be a reality, but technology can serve a powerful purpose for efficiency. 6. Archive upkeep: There's no reason to store more than a few hard copies of a given document in the company archives, yet many organizations find their folders overflowing with redundant documentation. Businesses must go into their archives and do a bit of spring cleaning to minimize duplicates and maximize the efficiency of their backups.